One of the things that I have realized over the years while representing Massachusetts home sellers is the fact that many are completely unaware that there is a tax to sell your home! While it is true that if you live in Massachusetts you come to grips quickly that just about everything gets taxed, sometimes this tax law is forgotten about. If you have never sold a Massachusetts home before you may also not even realize it exists. This tax on selling a home is known as the Massachusetts tax stamps. In most areas of Massachusetts the tax stamp equals $4.56 per thousand dollars of the sales price of the home. So for example if you sell your home for $400,000, you would owe the State of Massachusetts $1824.00 ($4.56 x 400). The money paid for the tax stamps is income given to the appropriate registry and is forwarded on to the Commonwealth of Massachusetts Department of Revenue. While most of my Real Estate sales are in Middlesex, Worcester and Norfolk Counties, it should be noted that in Barnstable County the tax rate is $5.70 per thousand so the cost involved with selling a property is slightly higher. The Dukes and Nantucket Counties also charge an additional 2% of the sales price that gets paid to the local land bank commission. 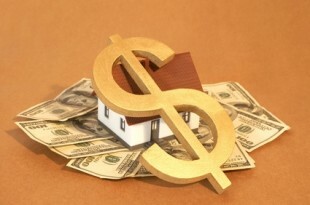 One of the things I always do with my clients is go over all the costs involved with selling their home or condominium. Nobody likes surprises especially when it will be coming out of their wallet! Besides a Real Estate commission which can vary but is more than likely going to fall between 4% to 6%, the Massachusetts transfer tax (stamp tax) is the largest expense a seller will have to be prepared for. So what are all the expenses you can expect to have when selling a Massachusetts home? Attorneys Fees. I am a firm believer that every seller should have legal representation. The expense of having a good lawyer representing your interests is cheap in comparison to dealing with the cost of problems that could crop up without representation. A Real Estate attorney in a home sale can do everything from the review of legal contracts such as the offer form or the standard Massachusetts purchase and sale agreement (P&S) to attending the closing either with you or as power of attorney. Most buyers are going to have an attorney and they will make changes to the standard P&S. Realtors are prohibited from giving legal advice and should not be relied on to council you on this agreement. You will be putting yourself at risk without a complete understanding of the document. Legal representation can vary quite a bit depending on the scope of the work. As a ball park you can expect to pay anywhere from $300-$1500. Obviously you will be closer to the $300 on a standard purchase and sale review and closer to $1500 if you have a more complex transaction and the lawyer will be attending the closing for you. Massachusetts Title V. The Massachusetts Title V is an expense every seller in Massachusetts has to pay if their property is not serviced by public sewer. It is a state law that a Title V must be completed upon the transfer of Real Estate. You can expect to pay around $800 dollars for a Title V inspection. The cost could become higher if the septic tank or distribution box are in an area that is hard to dig up. This septic expense would also include the pumping fee. Most of the time the septic system will get pumped at the time of the Title V inspection. Remember that a Title V septic inspection is good for two years. The septic certification can also be extended a third year if you pump the system in all three years. Smoke Detector and carbon monoxide detector certification. In Massachusetts you must have your smoke and carbon monoxide detectors inspected prior to closing. The inspections are done by the local fire department in the town you are located in. The charge for inspecting the smoke and carbon monoxide detectors is generally around $25-$100. You should be aware that there have been new regulations put in place surrounding Massachusetts smoke detector laws. These news laws could have an impact on the cost of selling your home if you need to install more or new detectors. I would suggest clicking the link to read further on the changes in the law. Preparing a new deed. In Massachusetts it is the sellers responsibility to have a new deed prepared that gets recorded at the registry. The preparation of a new deed is usually $100-$150 and is done by the attorney representing you or possibly the banks lawyer if you do not have legal representation. There will also be some small miscellaneous costs for mailing, filing fees etc that will be added to your HUD settlement statement at the closing. These fees include overnight mailing, courier services, wiring expenses, charges for processing mortgage discharges and recording fees for recording various documents at the Registry of Deeds. The total of these miscellaneous expenses will usually amount to a few hundred dollars. Real Estate surprises are never fun especially when they involve your money! About the author: The above Real Estate information on Massachusetts Tax Stamps and other costs to sell a home was provided by Bill Gassett, a Nationally recognized leader in his field. Bill can be reached via email at billgassett@remaxexec.com or by phone at 508-435-5356. Bill has helped people move in and out of many Metrowest towns for the last 24+ Years. I enjoyed your article very much. I think it is very important to have detectors in as my places as possible. A small amount of money could save a lives. Bill this is one of the best Real Estate blogs I have seen in a long time! You are obviously A Realtor that knows what they are doing. Kudos to you. Thanks Brian I really appreciate the compliments on my Massachusetts Real Estate blog! Hi Hugh – you must have missed what I wrote: “Besides a Real Estate commission which can vary but is more than likely going to fall between 4% to 6%, the Massachusetts transfer tax (stamp tax) is the largest expense a seller will have to be prepared for”. sorry, my bad. I must have overlooked it. Hi. Helpful information. I am trying to figure out what the stamp tax is for Essex County… do you know where I can find that information? Thanks again. Sandy if I am not mistaken Essex County is 4.56 per thousand in sale price. I’m having trouble finding any official information (e.g. on mass.gov) about this stamp tax. I’m buying a house, so I’m interested in finding out if the seller always pays the transfer tax or if they could try to dump it on the buyer. RF – It would be possible for the seller to ask the buyer to pay the Massachusetts tax stamps but that rarely ever happens. Bill, I have a question regarding your last reply about Tax Stamp. So if the bank has an addendum that the buyer is responsible for the stamp tax on a foreclosed property, then there is no legal recourse? Mass. has no law that states the Seller must pay the Stamp Tax? Greg the Mass stamp tax has to be paid but there is no law in place that says who has to pay it. While it is customary for the seller to pay it does not mean that someone else can’t pay them. Is the tax stamp paid on gross sale or net sale after paying off mortgage and RE commission? Regis the Massachusetts tax stamp is based on the sales price of the home. Other expenses do not come into play with this tax. I have a question. I purchased a property a little under a year ago together with a partner. He is currently buying my share from me. His attorneys offered me a deed the amount I will receive in cash. The deed does not even mention the fact that the bulk of the money paid to me will go towards paying out my share of the mortgage (about $150K). I asked them to add the verbiage describing that to the deed – which seems to make sense – and then they told me I will have to pay tax stamp for the whole amout (the whole $180K, not the $30K they wanted me to pay it on initially). Would you comment? It seems to me you pay tax stamp on the whole amount of the transaction. Am I wrong in thinking so? I got a surprise during closing when I saw the stamp cost needs to paid by the seller. I didn’t know until closing time. I asked attorney but it was late… its better to do your homework as seller…otherwise it can cost you. 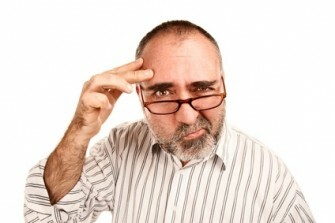 Deepak this is a common problem that some seller’s face when they do not get educated on the Massachusetts tax stamp. Hi Boris – what you describe is not like a typical closing transaction. I would guess that it would be negotiable amongst the two of you as you are not selling to an outside party and hold joint interest. This is a great information for sellers and buyers. As I am in the process of selling my home and as a ‘newbie’ to the selling process any tidbit of information is much appreciated. A question: my home I’m selling is in Marlborough, MA. Would the tax stamp still be the $4.56 per $1,000 that you mention? Terri thanks for the compliments on my tax stamp article! Yes it would be 4.56 per thousand in Marlboro. Great job you do explaining sellers expenses. My question, are there any federal expenses ? If so what would they be ? Ron there are no federal expenses for selling a home other than capital gains taxes if that applies.